We are very pleased to announce our 4th Avery Fellow, Kendra Poirier! Born and raised in Hilltown, PA, Kendra comes to CSC from Franklin & Marshall College with a bachelor’s of arts in Public Health and Biology and a minor in German. She spent three years as a varsity swimmer and now plays rugby for F&M. No stranger to pediatrics and research, Kendra volunteered in Dr. Jinks’ research lab at F&M during her junior year. She also worked at Women and Babies Hospital at Lancaster General Health within the Performance Improvement Department and spent time in the neonat al intensive care unit. 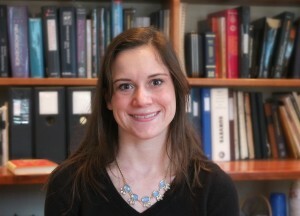 Last summer, She was an intern at the Hershey Medical Center within the biochemistry department. Kendra is now finishing her coursework at F&M, including CSC’s “Plain People and Modern Medicine” capstone biology seminar. Kendra’s fellowship year will focus on public health research, and she will work closely with Dr. Katie Williams. Please help us to welcome Kendra to our staff!